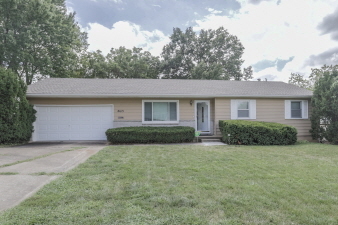 Well maintained ranch floorplan home in popular Cherokee Hills in Overland Park! Just add décor to make it your own! Newer windows, roof and HVAC--attractive kitchen and baths, hardwoods under carpet per seller. Large fenced backyard with patio; two car attached garage. Convenient location close to shopping and parks! Selling as is; seller provided home warranty.